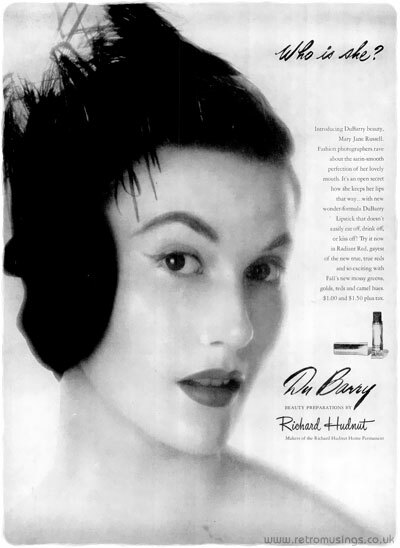 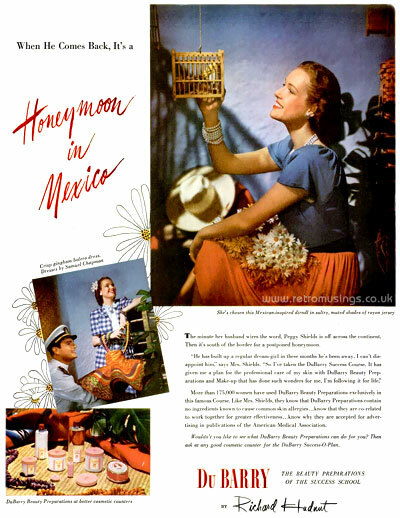 These honeymoon themed ads for DuBarry beauty preparations date from 1945. 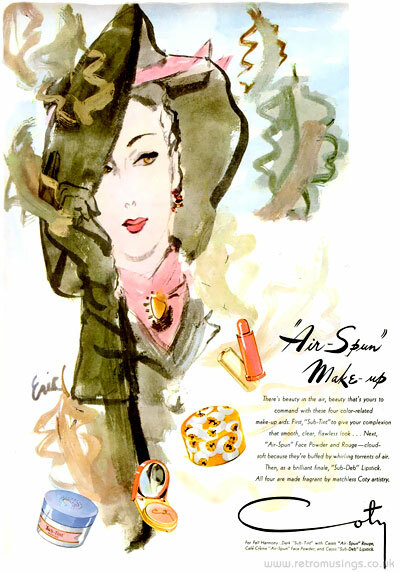 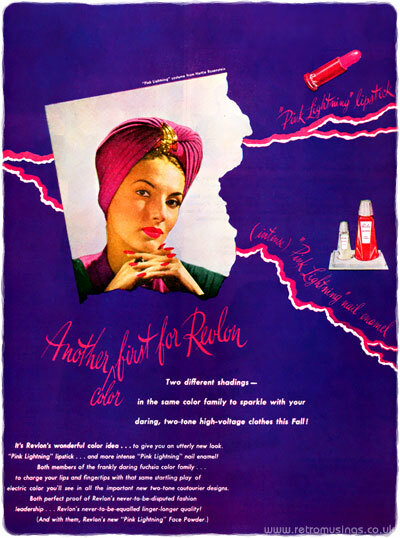 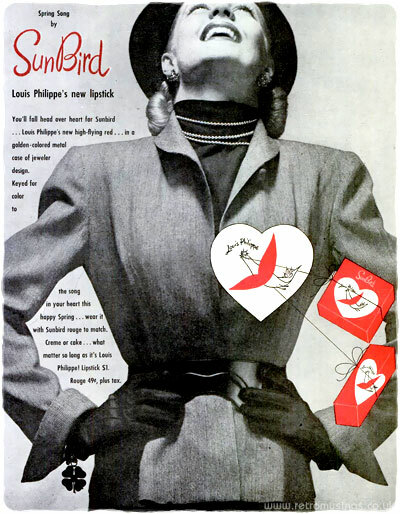 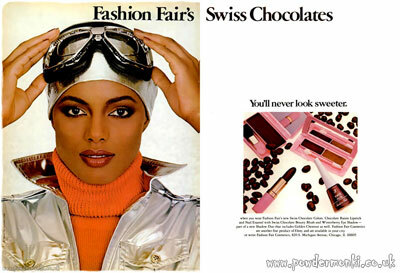 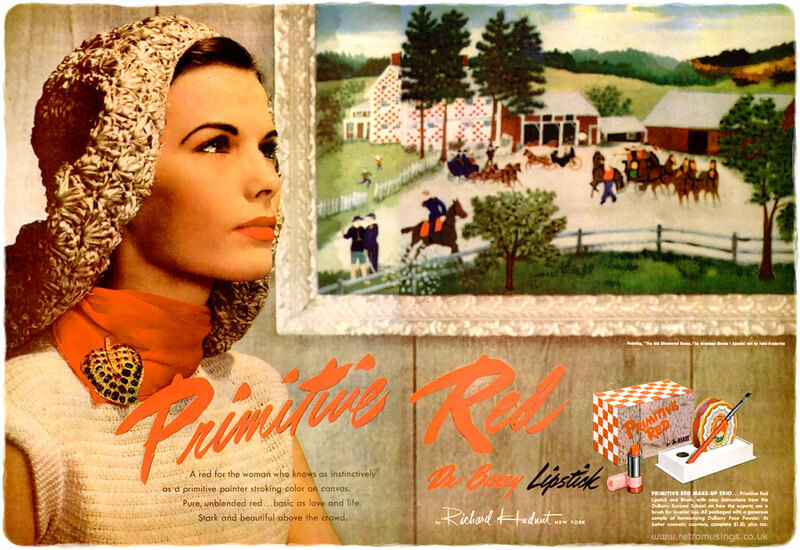 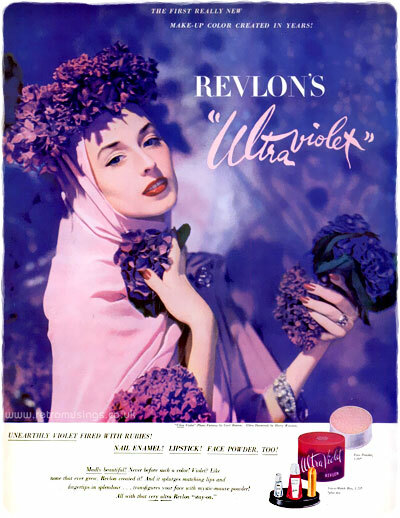 These ads for Louis Philippe face powder and rouge date from 1942-45. 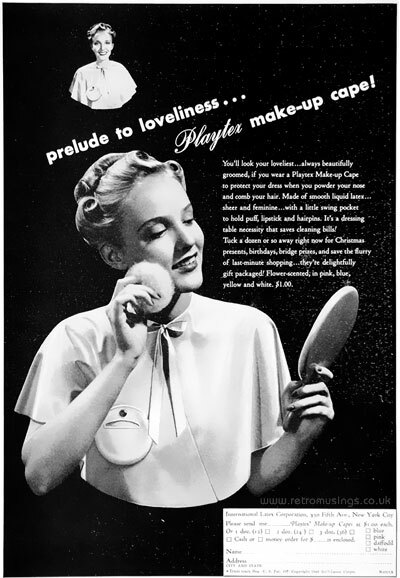 These ads for Playtex Makeup Capes date from 1939. 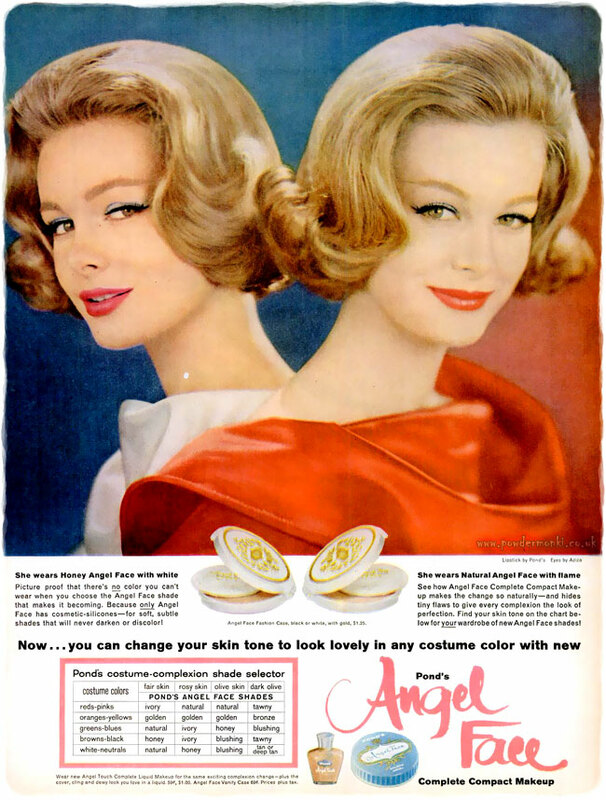 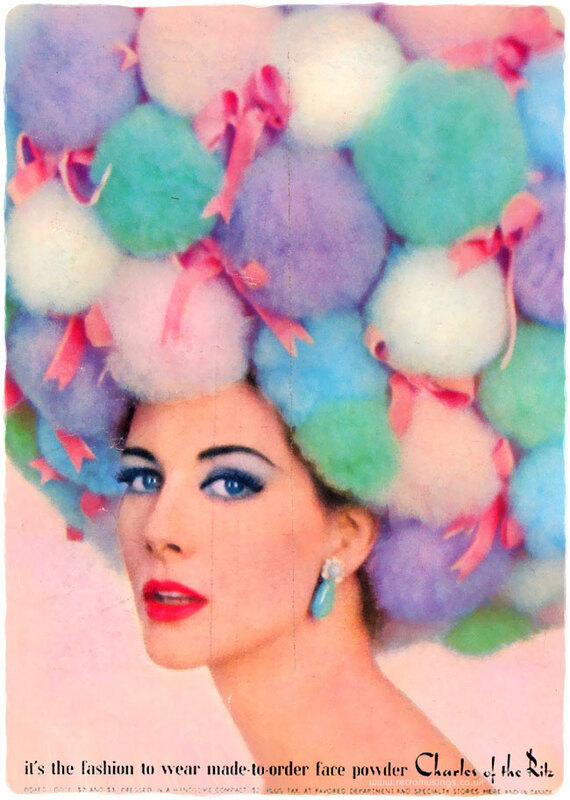 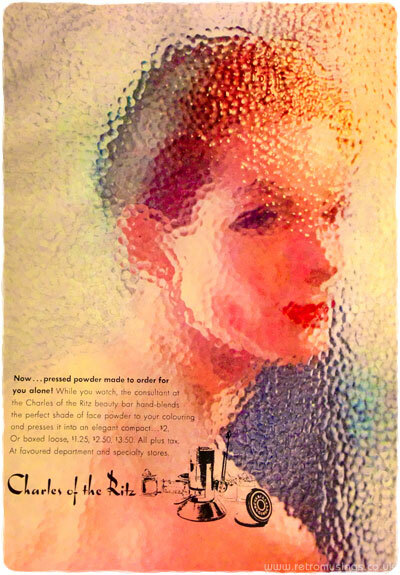 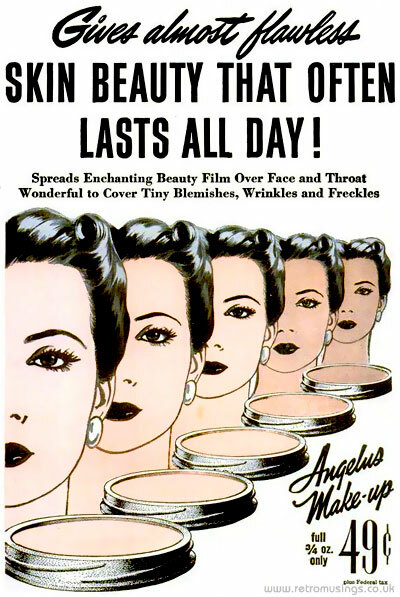 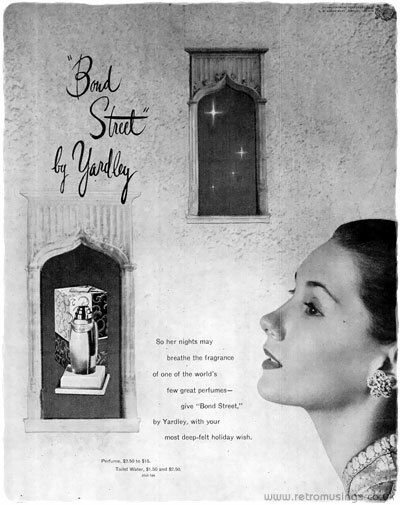 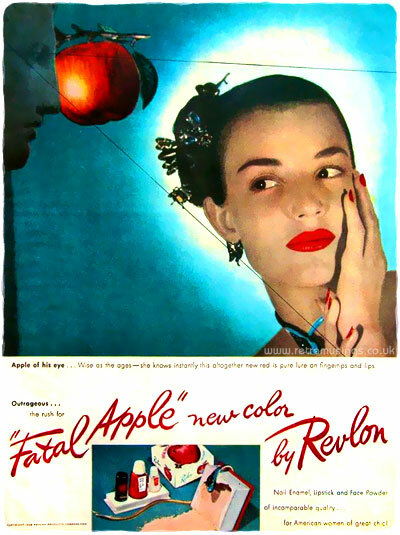 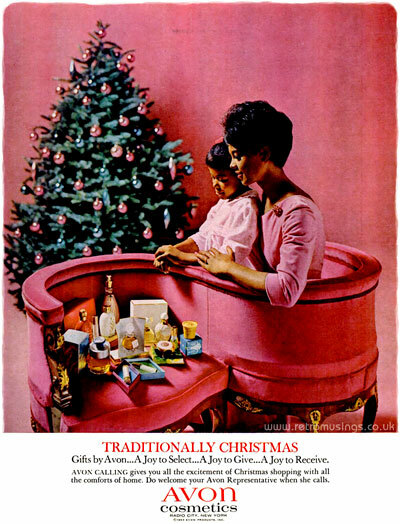 Pond’s “Angel Face” adverts from 1960-61 featured striking double head shots of models wearing contrasting colours.